Hi, I am a corporate professional with over 15 years experience in marketing, communications, design, video graphics and web programming. I can be your spokesperson. I will create a natural video testimonial, product review at beach or sitting in a chair. I am a fitness guru and corporate spokesperson, so I can naturally do your review of your fitness, or any other product or testimonial that you need. This gis is only for 30seconds or 35 words only. If you need extra time or works order extra gigs. Please contact me for further details. **Beach gig - Order 2 extra gigs. ***If you need a natural script written by me order 2 extra gigs. WHAT YOU GET: A Video testimonial or review for your service or product. SEO optimized, 50 words write-up description, this will rank on Google. My testimonials are NATURAL and very Energetic! Most people do not rank or have any seo videos that rank, due to lack of seo optimization. MUST ORDER 3 gigs for full package 100% GUARANTEED! 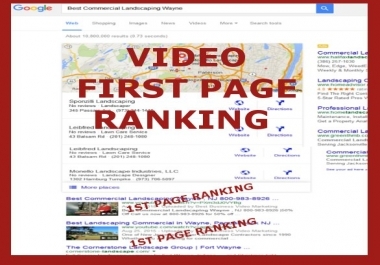 PROOF: Check out these general videos ranking for keywords: 1 GIG PACKAGE includes: 1 Video testimonial or review (50 words only) for your company You MUST include a 50 word description. (if you want me to write the SEO optimized listing add an EXTRA gig) FULL PACKAGE includes: 3 gigs - I will write 100 word seo optimized video. 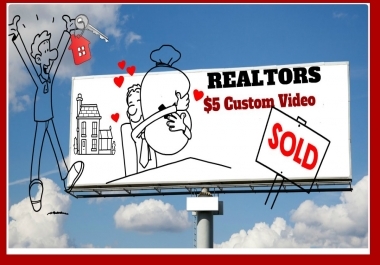 I will do a video testimonial for you on your service .